Once upon a time Nicolò Melli used to play as a small forward, then he found his own niche as a “number 4”, an athletic power forward, capable to defend out on the perimeter, with a respectable outside shot and the capability to block shots and run the floor. But in his National Team debut, in a major international competition, Melli had to play center. In part because his typical versatility allows him to help the team doing many different things and because his unselfishness. In part because Italy was missing so many big men (Andrea Bargnani, Angelo Gigli) that Nic all of a sudden became the second team’s player in terms of height and size. 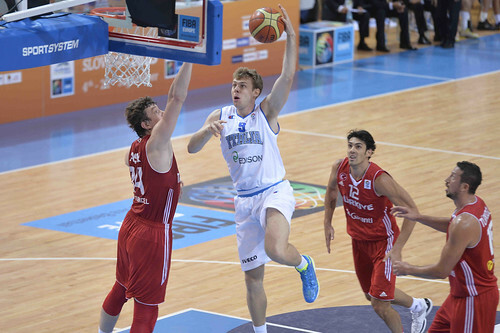 This is how the “David” Melli was born, playing against the “Goliath” of the three-second area. 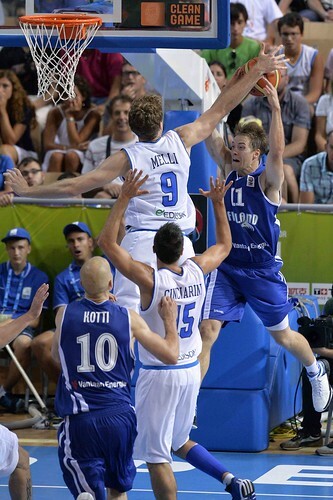 During his three weeks at the Eurochampionships, Melli fought against any kind of center, NBA centers, former NBA centers, big European centers. Just to name a few: Omer Asik, Marc Gasol, Ioannis Bourousis, Ante Tomic, Jonas Valanciunas. 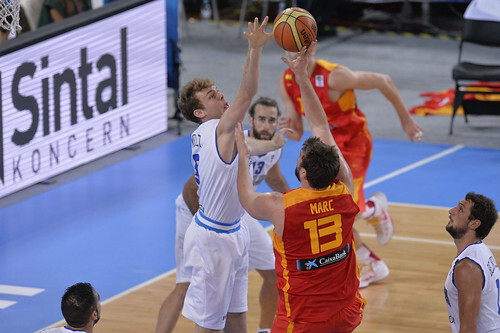 He held his own, he was decisive in some games, especially against Turkey, he was heroic against the great Marc Gasol and Spain. 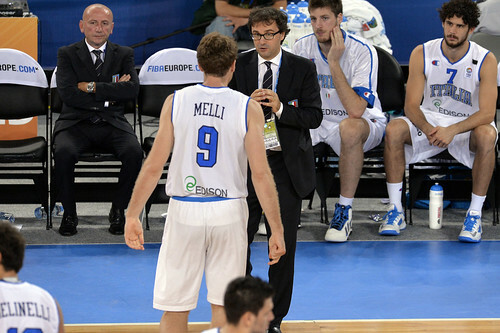 So here we have some pictures of Melli, Italian Team version.